For a mobile Paintless Dent Removal service which can be completed at your home or place of work. Please note we do not offer any type of paintwork repairs, If the paint is damaged a Bodyshop would be your better option. DentShifter are the leading mobile paintless dent repair organisation in the North West, our goal is to offer the highest quality workmanship, at your convenience and at a fair price. It is widely recognised that paintless dent repair is a quicker, less cost and high quality solution to repairing the bodywork on your vehicle when the paint is undamaged. The most common projects that we work on are minor collisions, hailstorm damage and dents and dings gathered in car parks either from trolleys or doors. We are faster then a traditional car body shop as we do not use filler and paints. Our process includes massaging the damaged panel from the inside and using a combination of specialist tools, lighting and experience, we are happy to guarantee the work that we do and the process that we use are the only recognised processes guaranteed to restore the vehicle to its original factory condition. We are the leading paintless dent repair service in the Cheshire and Wirral area. 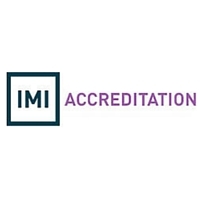 We have years of experience and our Accreditations testify to this. You’ll be amazed how competitive and convenient we are compared to others. All our work is guaranteed for your peace of mind so sleep easy! Experience says a lot about a company and we have been around a while now. Great local service so you know that you’re getting that local service.